Here in the Midwest, it’s finally acting like spring. We have rain instead of snow, the temperatures are in the 40s and 50s, instead of the 20s and 30s, and I can actually see green sprouting up through the brown ground. So, when I was thinking of this week’s Freaky Friday, I was thinking “Spring!” But Old Town Spring might not be what you expected. Old Town Spring is just north of Houston, Texas and some have claimed that it’s the Ghost Capital of Texas. That’s saying quite a bit, considering how the folks in Texas – both dead and alive – like to do everything in a big way. Wikipedia gives us a little more information. “A French explorer, Francois Simars de Bellisle, lived among the Atakapa from 1719 to 1721. He described Atakapa cannibalistic feasts which he observed firsthand. The practice of cannibalism likely had a religious, ritualistic basis. French Jesuit missionaries urged the Atakapa to end this practice. Maybe they got better, but I have to believe that being someone’s feast would encourage you to come back and haunt the area where dinner was served. Chron. Com interviewed a resident of Old Town Springs who lives with one of the resident ghosts. “Randy Woods is a former assistant press secretary to President Gerald Ford. He had a 10-year career with The Woodlands Development Co. So it can be jarring to hear him tell the tale of Sarah, the ghost who shares space with Woods in a converted barn in Old Town Spring where he runs the Spring Souvenir, the town’s newspaper. Woods has learned so much about Sarah and others who haunt the area’s historic homes and businesses that he began conducting the Walking Ghost and History Tour of Old Town Spring three years ago. The 90-minute tour is usually given Friday evenings, but Woods can schedule it by appointment. All that’s required is a group of at least five people, $10 each and the nerve to visit the sites and their spooky inhabitants. According to his research, Sarah was a 12-year-old friend of the Doering family, who owned the barn in the 1930s. She fell from the hayloft while playing and suffered a broken leg. Gangrene set in and she died less than a month later, Woods said. Now, he supposes, she inhabits the barn, waiting for her playmates to return to resume their childhood games. Fiona Broome of Fiona’s Broome’s Guide to Ghost Hunting has accepted the haunted history of the town too. “There are several locations that fascinate me, but one of the best is the old bank building. It’s no longer a bank, but it’s part of the retail district in Old Town Spring. The bank is easy to recognize: It’s the brick building with bullet holes, in the middle of the 100 block of Midway. It’s on the same side of the street — and just a few doors from — the haunted Wunsche Bros. Cafe and Saloon. …You can see bullet holes in the bank’s brick exterior. The Spring State Bank was the site of at least two robberies involving gunfire. One may have featured the famous team of Bonnie & Clyde. In January 2006, the bank building was empty once again. Shops move in, and soon move out. I’m not sure anyone would say that the building’s ghosts are a problem or even real, but — with a violent history like this — it’d be odd if there wasn’t some haunted energy there. We keep revisiting this building because there’s something there, inside and outside the old bank. Sure, there’s residual energy. 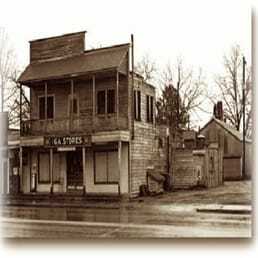 After two gunfights, that’s normal for a town with the “wild west” history of Old Town Spring. Christine Delay’s experience offers more specific insight to the town. “Whitehall House was, in 1933, a funeral home. A funeral home that now has a designated ghost room on the second story. 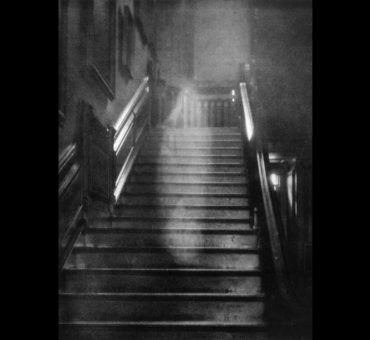 Many sightings have been reported of a man walking across the balcony at night, or a couple swinging together on the porch swing. In the years since, the home has changed hands numerous times. Interesting lease agreement, don’t you agree? Luckily, Christine was accompanied by a friend, a sensitive, on her tour of Old Town Spring who gave her a look beyond the normal. “Down the street, our guide stops in front of a large tree. I look from her to the tree to our guide, wondering what I’m missing. It’s a tree. A big, beautiful tree. I should mention here that Susie, who writes fantasy and ghost stories, is a sensitive . . . and this is not her first ghost rodeo. But do normal folks taking the tour “feel” anything? I’m glad you asked that question! I capture it on my phone. It’s amazing. My husband and I went on the tour last night. The guide was amazing, and the crowd was pretty cool too. My husband captured an orb in one of the buildings that used to be a morgue, I capture the little girl ghost Marilyn who died of gangrene in the red barn. I was a skeptic before but not anymore. I don’t know who else from the trip that captured something, but I showed everyone the picture I took, everyone was floored. I send the pictures to the FB page. At the end of the trip, the guide told me that I was lucky to capture two apparitions. I am floored and still shock from what I captured. Highly recommended. Did the ghost tour a few months after moving to the area. I believe in ghosts and spirits but ones that are benevolent vs maleficent. I was a bit skeptical in that I would capture anything on my digital camera, but I actually did catch a few things that scared me after reviewing my pictures at home. The tour itself is informative and entertaining. We did the 12am tour thinking that it would be more authentic, and it was. I’d recommend doing the tour in cooler months as we did this tour in July during a southern Texas summer = Hot and Humid! Overall Great tour! I really enjoyed the tour, Eve was an amazing tour guide. The History behind the stories was fascinating, they really do their research on the history behind the stories. While we didn’t encounter any ghosts during the tour, we did catch an amazing apparition on camera when we went back and looked, my sister-in-law was in the picture taking a picture of a house and we caught a woman sitting in a chair on the porch, sent chills down our spine! I wholeheartedly recommend them! My family attended the Old Town Spring Walking Ghost Tour on Halloween night. This was a very informative and professional tour that was led by an expert in paranormal activity. We experienced some UNEXPLAINABLE PHENOMENON while on the tour that had this skeptic questioning what just happened by the end of the tour. Additionally, we learned some interesting “old west” history of a local town that added color and perspective as to why there would be paranormal activity in this location. Ghostly Energy Shows in My Photos! Eve Hallows was our tour guide and led us through a fun and interesting tour of the haunted places in Old Town Spring. As we got to our 2nd stop, my cell phone started acting up, I was able to take pictures, but it kept getting stuck. We hit the ice house and I decided to review my pictures and was quite surprised at what I found. Definitely something was going on. I had regular photos and then photos with white bands shooting through them or ‘misty” type fog going across in bands. One shot even had a white “form” in air by roof of building. Had an amazing time with my husband and teenage son. Definitely would do again. 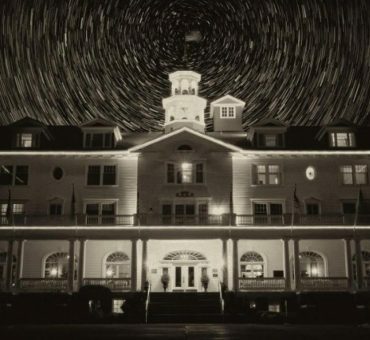 From early American cannibals to cowboy specters of the old West to the ghosts of Bonnie and Clyde, it seems that Old town Spring has a haunting for any era you’d like. That is, if you like to be haunted.